Brilliant!! Love hearing the good news. I've just read about Cho Cho on PetRescue. What a darling she sounds and hopefully she will soon have her own home where she can tame the whipper snippers and have tea cake in the cool of the afternoon. Thanks HW. I don't know how to do the photos. This lovely old duck was very shut down and showed a lot of avoidance to things that make her uncomfortable. It was hard to get a good read on her initially as she was so shut down. She was never difficult to handle and allowed herself to be handled and walked nicely on the lead. She perked up when meeting another dog and also when the treats came out. She is not overly responsive to sound so we suspect she might be a little bit deaf. She met a silly adolescent dog with great tolerance but would probably prefer a home with another very calm dog or on her own. She seemed a little stressed in the fence-jumping pen so would maybe do better in a home with company during the day. A beautiful old lady who would love a warm caring home to spend the rest of her days. She is already desexed, and tags show that she is microchipped, and registered, (which probably means she has been well cared for), so would not cost much to save from the pound. This is the same dog that both trifecta and DDD also mentioned in this thread. This dog is no longer on the pound website so presumably it has been adopted. Todays senior is Nessy. 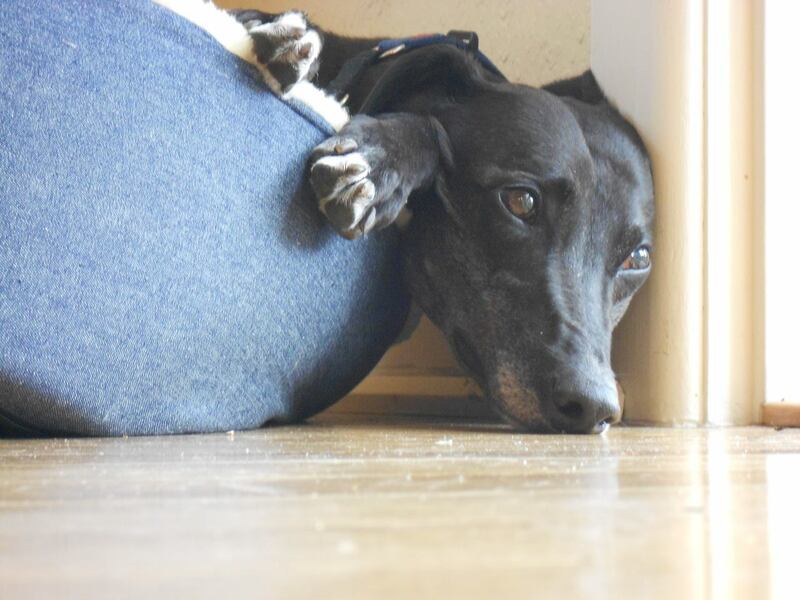 She is an 11 and a half year old blue and white greyhound who has already lived as a pet for 2 years, sadly she has found herself up for adoption again as her owner is relocating overseas for work. 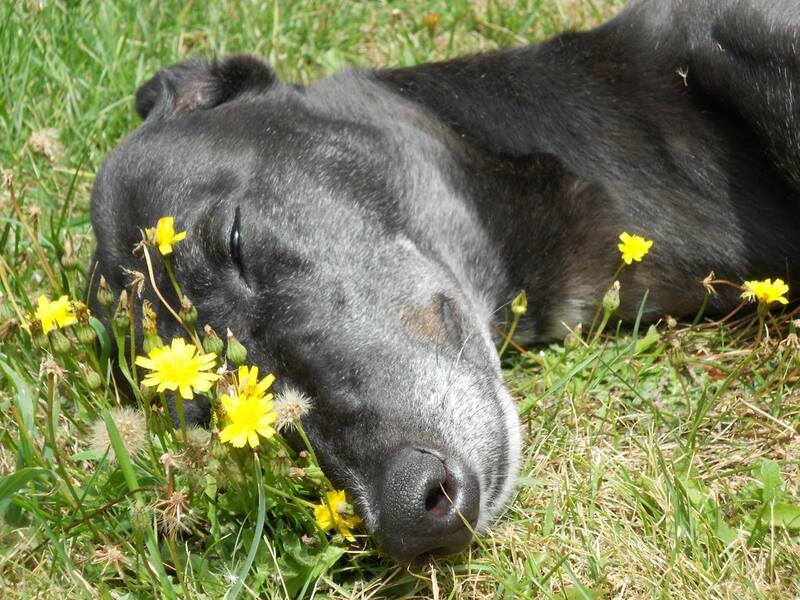 Nessy is available from Greyhound Safety Net in Victoria. 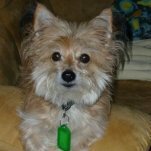 Hazy are you going to try to update this thread with what happens to the dogs you feature? Just curious as we all like a good news story. This gorgeous girl is Grace, she's almost 10 years old and is being surrendered back to me after five years in a pet home because her owners had a baby. She's safe with small dogs and great with kids but not suited to a home with cats/poultry/small pets. It took me over a year to find her first home because she is black and a bit plain to look at but she's a lovely, sensible girl and very easy to have around. Grace is an older hound but she's incredibly tolerant and patient and could live happily with or without other dogs around. Aww, Grace is perfect. 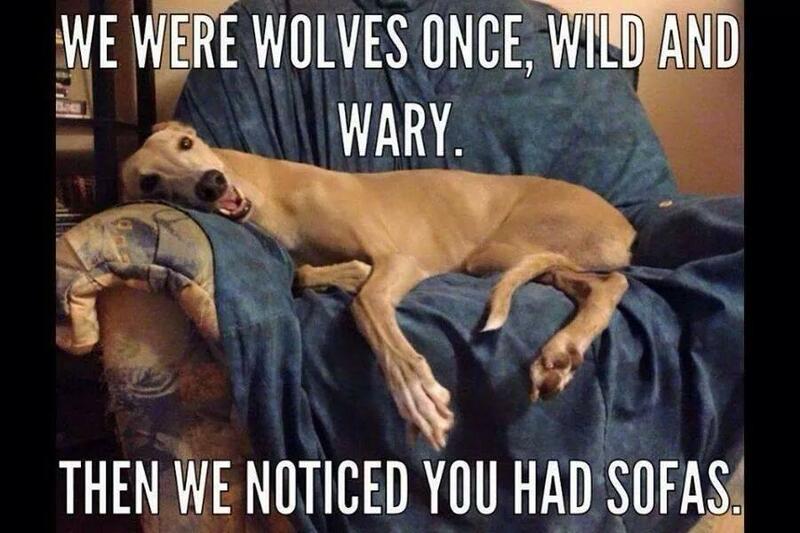 Greyhounds are just my type of dog. The flower picture of grace is a brilliant on. If you have a link or want to send me the details I'll pop her in our e-news. Who wouldn't want a beautiful old dame like Grace. btw Maddy A+++ on the return policy! 5yrs, some won't even do 6 months. The way I see it, they are my responsibility until they die. I'd rather take a dog back than let it go to a pound and end up god only knows where (especially an oldie, they deserve better than that). Link to our FB page, anyone interested can get in contact through there. The way I see it, they are my responsibility until they die. Something I would also stress, stress and restress to people who adopted from me in the dim distant days when I was involved. No matter what happens, no matter the cause.